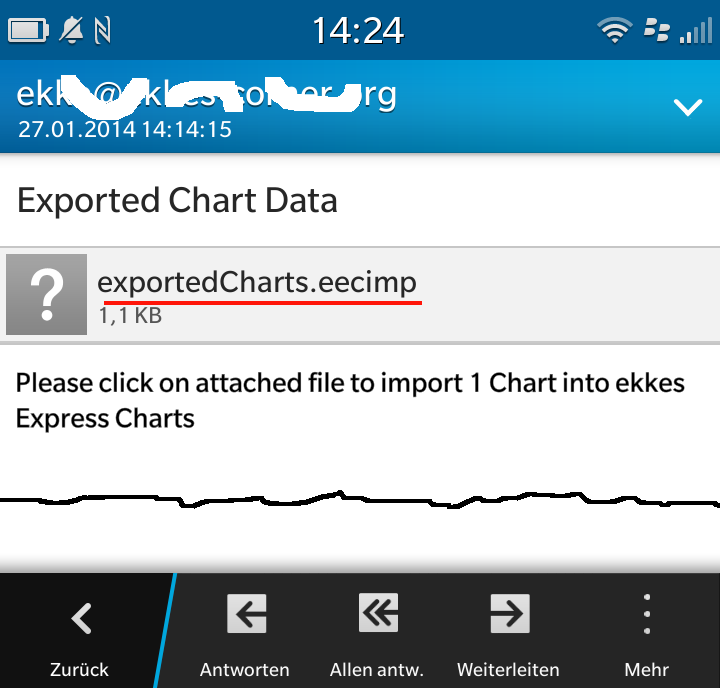 ekkes Express Charts is an application to create charts on-the-fly and can be integrated into BlackBerry EXPRESS. Here’s an Overview about the APP and HowTo download und use. 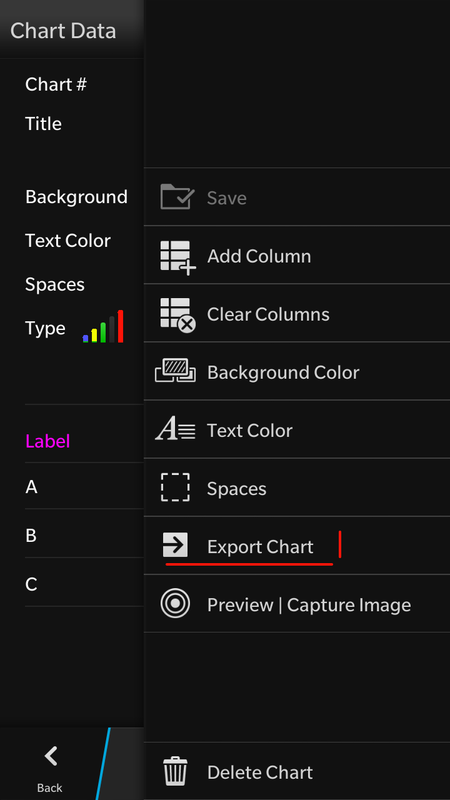 Images of your charts are stored at the folder you defined from App – Settings, so you can easy send them to your friends or colleagues. 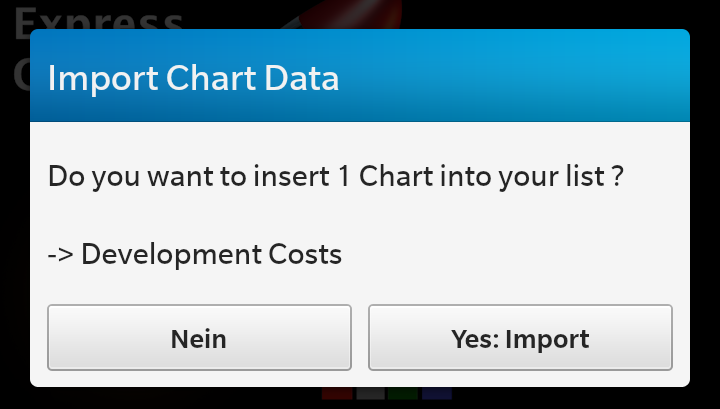 But what about the data and all the properties and colors you set to create a good looking chart ? This data is stored inside your APP’s sandbox, so it’s a safe place, but you cannot access it from other applications or File Manager. The good news: I implemented an easy way to transfer the data without making it public visible. 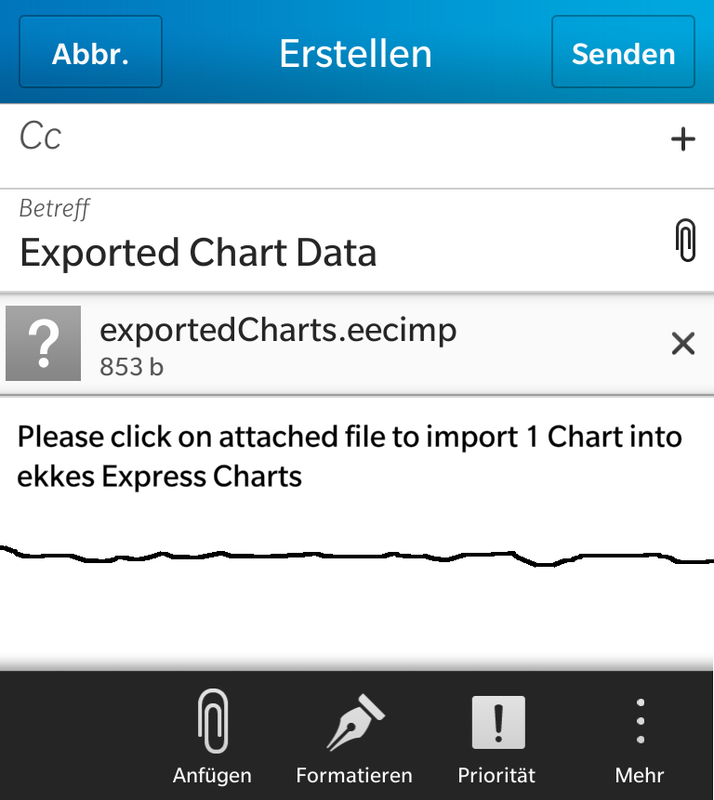 If your friend doesn’t know about ‘ekkes Express Charts’ you can invite him / her easy from Home Page Action Bar via BBM. …all is done inside the app using Invocation Framework. See here to learn about invoking Core Apps like Message Composer. 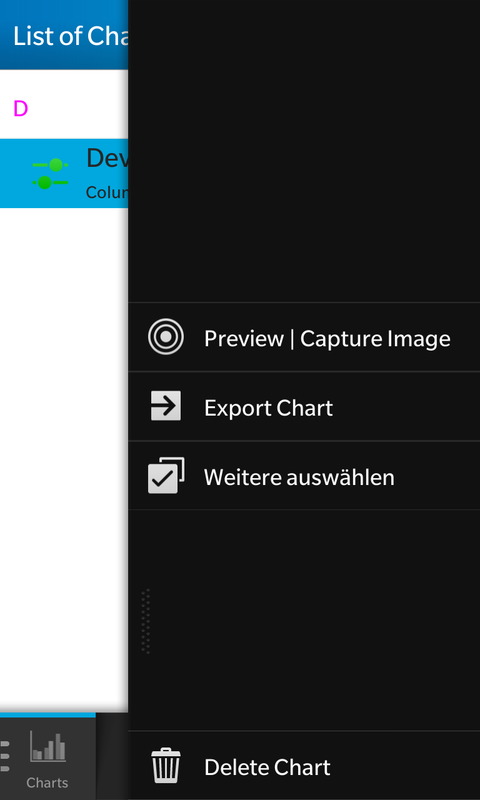 You will see how many data charts were sent and get a list of the titles to be sure it’s the right import file. The application will add them all to the list of charts and update the UI of the List Page – doesn’t matter which Page you’re just working on. Your current workflow won’t be interrupted. How is this ‘by-magic-open-the-app-from-an-email-attachment‘ done ? Again it’s the Invokation Framework ! In your app you can detect if the app was launched by the user or if the app was invoked and then do what you want to do. I told you that the data transfer was safe letting you data private. How is this done ? It’s a JSON, but I scrambled the content with a key known by my app. So your data is protected and my app, too because if someone creates a fake .eecimp file it will open the app, but I can simply detect that I have to ignore the content. Over all you see: with a little help of Invokation Framework you can create smooth workflows – not only inside your app – also between two apps as I demonstrated here. Try it out and have FUN. Sending an email with an attachment where the suffix is registered by an app (like my app does this) the attachment will be downloaded first before invoking the app from where I have access to the file content. best way to discuss this is in BlackBerry Developer Forum. Thank you for your response,yeah, you are right, i’m also doing the same, but i’m sharing with bbm while you are sharing with email attachment… do you have any idea of invoking our app as soon as the clicked on data shared or any file type. I haven’t found a way to do this without file downloading, but because this was ok in my use-cases where I need the content of the file. , I didn’t spent much time on this. yep – will do so.